Microsoft has its own mobile app called ‘ Microsoft Flow ’ which gives you the power to manage, track, and explore your automated workflows anytime and anywhere. It’s available in Apple, Android and Windows stores. In this article, I am going to explain the possibilities where you can use ‘Microsoft Flow’ mobile app with SharePoint Online in your business automation processes. There are many repetitive tasks that we all wish we could run with just a tap of a button. For example, your sales executive needs to send customer documents for head approvals. Usually, He/she needs to scan the document and send to the relevant person through mail. 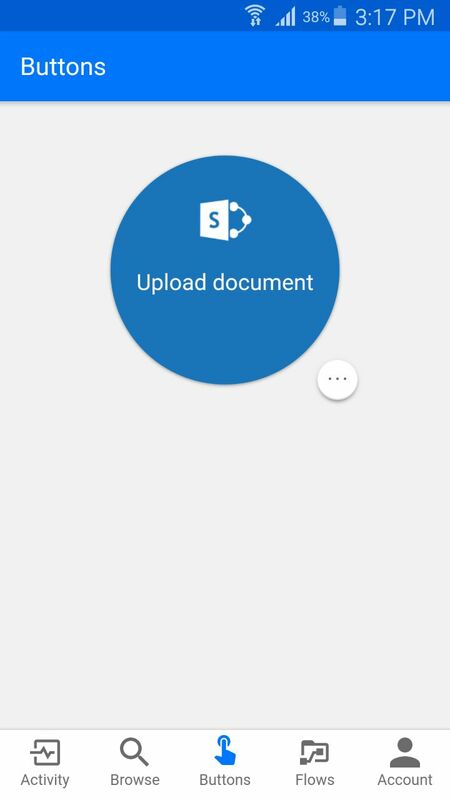 Instead you can build a Microsoft Flow for mobile which can be accessible from mobile anywhere anytime using which your sales executives can upload documents directly in SharePoint or equivalent cloud storage and can get the approval. Here, we will see how to build Microsoft Flow app for mobile and how to integrate it with SharePoint Online. You can create the flows either from your mobile device or from the Flow portal. In this walk through, we will create the same using Flow portal. Then click on Create from blank. In this example, you need to add a trigger so click on ‘Search hundreds of connectors and triggers’ link, search for ‘Manual trigger a flow’ and add a trigger ‘Flow button for mobile’. After that, you need to specify input methods. 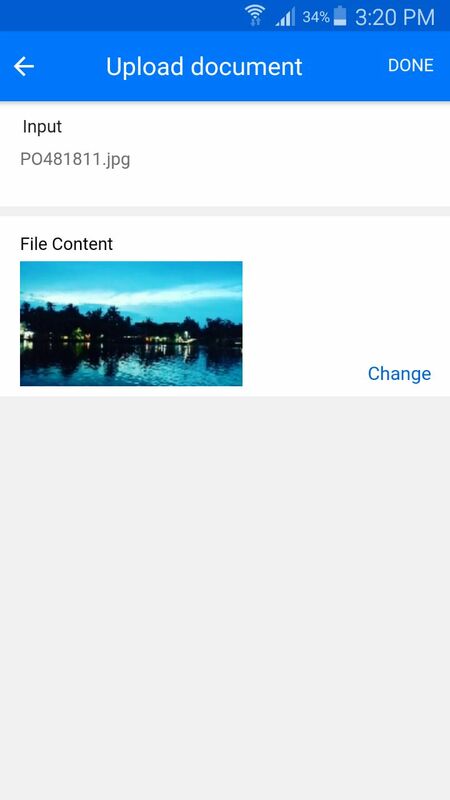 since you need to upload a file, add couple of inputs, one for file name and one for file upload. Once you are done, your screen should look something like below. Next, you need to add an action which will save the document in your SharePoint online site. 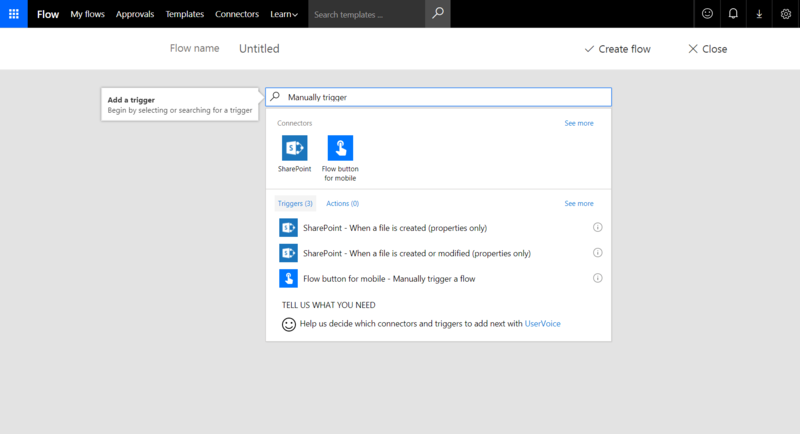 Click on New step -> Add an action -> Search for ‘Create file’ -> add an action ‘SharePoint – Create file’. At last, name your Flow and click on ‘Create flow’. It will save your Flow. Now that you have created a mobile flow, it’s time to test it. Since it will only run from the Flow app, be sure you have downloaded and installed Microsoft Flow app in your mobile. 1. Now, launch the flow app and log in using your credentials, tap the “Buttons” tab that is located at the bottom of main page where you can see your newly created Flow. 2. Click on the button ‘Upload document’ which represents your flow. Specify file name and browse the file which is to be uploaded. Be sure to append an extension, such as “.jpg”, while providing file name otherwise it may be corrupted (i.e. filename.jpg) and click on Done. 3. You should be able to see the progress while the flow runs. 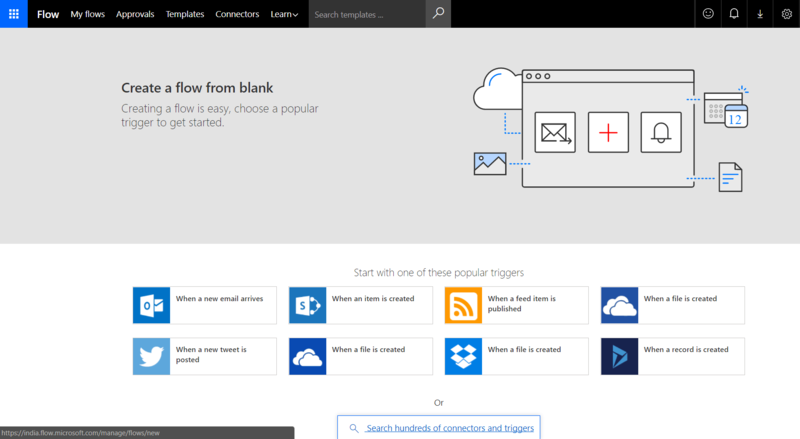 Once it is completed, go to your SharePoint site and open specified document library. 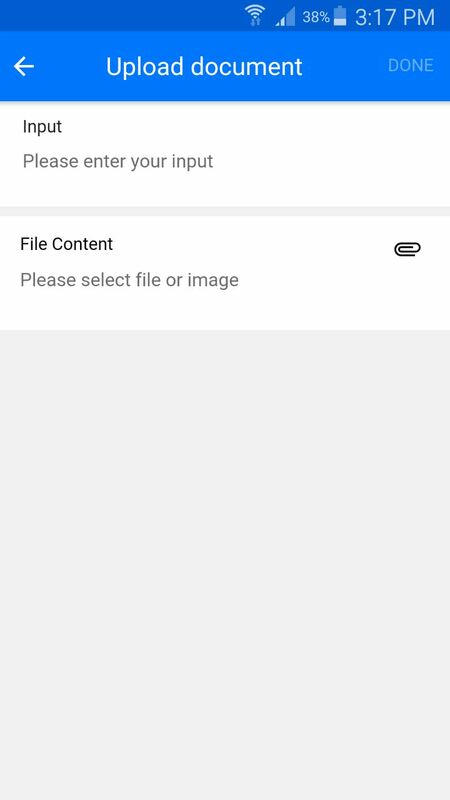 A Folder should be created and file should be uploaded inside it. 4. You should see your file in destination folder something like below. 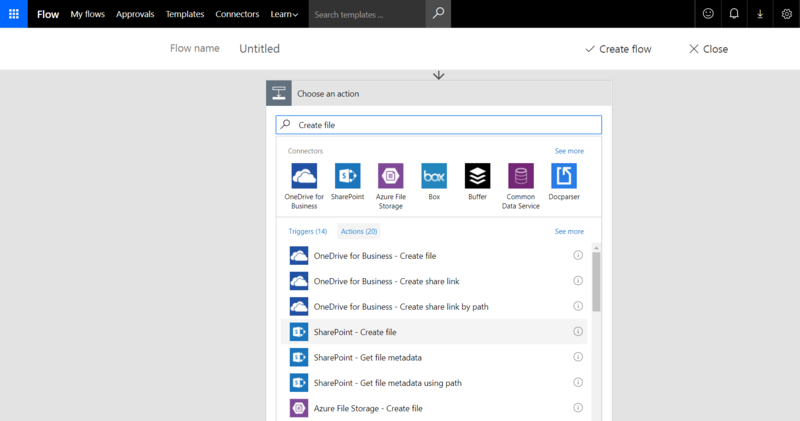 We saw how to create Microsoft Flow app which saves document to SharePoint Document Library. You can check out the documentation that covers app concepts, from getting started to more advanced capabilities and can start using some of the mobile templates, or create new flows of your own.